Advanced maths students have been waiting for this, the third edition of a text that deals with one of the fundamentals of their field. 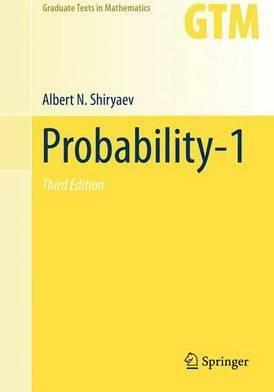 This book contains a systematic treatment of probability from the ground up, starting with intuitive ideas and gradually developing more sophisticated subjects, such as random walks and the Kalman-Bucy filter. Examples are discussed in detail, and there are a large number of exercises. This third edition contains new problems and exercises, new proofs, expanded material on financial mathematics, financial engineering, and mathematical statistics, and a final chapter on the history of probability theory.